Three nuclear scientists. A chilling and dangerous plan. I'll be out for the press opening May 1st so check back soon for my full review. 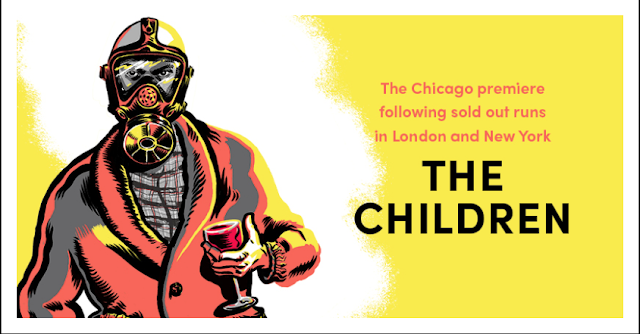 Steppenwolf Theatre Company presents the Chicago premiere of The Children written by acclaimed British playwright Lucy Kirkwood and helmed by celebrated Chicago director Jonathan Berry. Filled with dark humor, this thought-provoking and haunting play features three of Chicago’s top actors tackling complex roles: ensemble members Ora Jones (Rose) and Yasen Peyankov (Robin) with Janet Ulrich Brooks (Hazel). Following sold-out runs in London and New York, Steppenwolf proudly presents this brave and profound work that confronts the responsibility each generation must face for the way it leaves the world. Previews for The Children begin April 18, 2019 and the production runs through June 9, 2019 in the Downstairs Theatre (1650 N Halsted St). 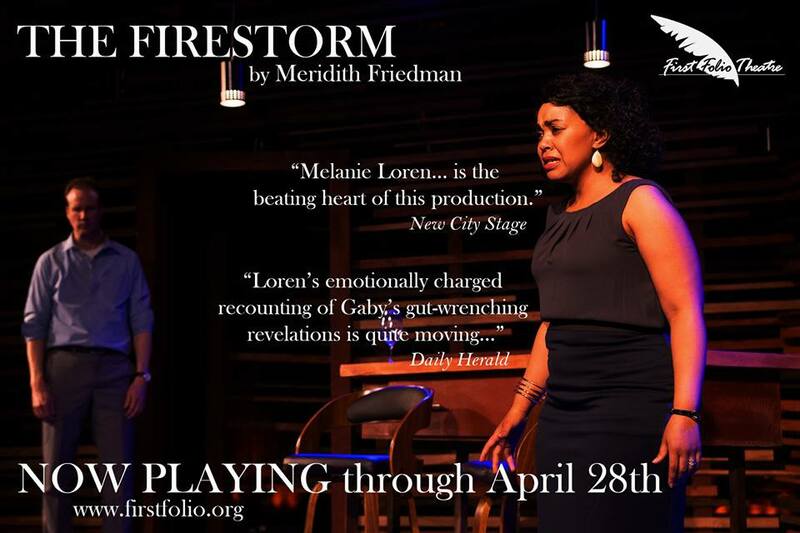 Press performances are Monday, April 29, 2019 at 7pm and Wednesday, May 1, 2019 at 7:30pm; Opening night is Monday, April 29.. Tickets ($20-$99) are available through Audience Services at 312-335-1650 or steppenwolf.org. Classic Memberships starting at $100 for the 2019/20 Season are now available. More info at steppenwolf.org/memberships. On a summer evening in an isolated seaside cottage in the East of England, a pair of retired nuclear scientists are startled by a visit from a former colleague. As some crackers and wine are trotted out, so are various old jealousies, leading to the true reason for Rose's sudden reappearance: the revelation of a chilling and dangerous plan. “Lucy’s work powerfully interrogates the challenging space between our all too human desires and our shared responsibility to the generations to come. That she does this by creating rich, nuanced characters with a complicated history and a high-stakes problem to solve makes it a perfect fit for Steppenwolf. It's a taut 90-minute pressure cooker of a play,” comments Director Jonathan Berry. Ensemble member Yasen Peyankov, who plays Robin, can currently be seen at Steppenwolf in A Doll’s House, Part 2 (through March 17). An ensemble member since 2002, he has performed in dozens of Steppenwolf plays, including the Broadway production of Superior Donuts. He translated and directed the Bulgarian premiere of August: Osage County at the National Theatre in Sofia. Currently he plays the Russian Foreign Minister on CBS’s Madam Secretary and will be seen in the upcoming feature film Captive State and the third season of Stranger Things. Ora Jones, a longtime ensemble member, plays the role of Rose. In the past year she has portrayed a wide range of roles at Steppenwolf in Familiar, The Roommate and The Doppelgänger (an international farce). Her Broadway credits include Les Liaisons Dangereuses and Matilda The Musical as well as work at the Manhattan Theatre Club, the Public Theatre, Yale Repertory Theatre, Long Wharf Theatre, and more. Film and television credits include Betrayal, Chicago Fire, Consumed, Were the World Mine and Stranger than Fiction. Janet Ulrich Brooks, a celebrated Chicago actor, is a company member of TimeLine Theatre, where she was recently seen in Master Class. Other TimeLine credits include The Audience, Bakersfield Mist, The How and The Why, and Jeff-nominated performances in 33 Variations, A Walk in the Woods, All My Sons, When She Danced and Not Enough Air. Additional credits include Plantation (Lookingglass), Vanya and Sonia and Masha and Spike (Jeff Award nomination, Goodman), 2666, The Seagull, A True History of the Johnstown Flood and Teddy Ferrara (Goodman); Women Laughing Alone with Salad (Helen Hayes nomination Actress in Principal Role, Woolly Mammoth, D.C.); By The Water (Northlight); Failure: A Love Story and Native Gardens (Victory Gardens); Crazy For You (Drury Lane); and Golda’s Balcony (Jeff Award, Pegasus Players). Lucy Kirkwood is a playwright and screenwriter. In 2009, her play It Felt Empty When the Heart Went At First But It Is Alright Now was produced by Clean Break at the Arcola Theatre. Nominated for an Evening Standard Award for Best Newcomer, it made Lucy joint winner of the John Whiting Award. Chimerica premiered at the Almeida Theatre in 2013 and transferred to the West End, earning Best New Play at the Olivier and Evening Standard Awards, as well as the Critics Circle and Susan Smith Blackburn Award. Recent work includes Mosquitoes at the National Theatre in 2017, and The Children, which premiered at the Royal Court in 2016, and opened on Broadway at Manhattan Theatre Club in 2017. Jonathan Berry is an Artistic Producer at Steppenwolf and a director and teacher in Chicago. Steppenwolf productions include The Curious Incident of the Dog in the Night-Time, You Got Older, Constellations, The Crucible, Gary and A Separate Peace. Berry is a Steep Theatre ensemble member where productions include Red Rex, Birdland, Earthquakes in London, Posh, If There Is I Haven’t Found It Yet, The Knowledge, Festen, Moment and The Resistible Rise of Arturo Ui. 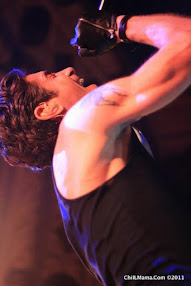 He’s also an ensemble member at Griffin Theatre where productions include the Harvest, Winterset, Pocatello, Balm in Gilead, Golden Boy, Spring Awakening, Punk Rock, Port and On the Shore of the Wide World. He has served as the Assistant Director for Anna D. Shapiro’s Broadway productions Of Mice and Men and This Is Our Youth. Other theatre credits include Dirty, Suicide, Incorporated, Othello (Gift Theatre); The Solid Sand Below, The World of Extreme Happiness for New Stages (Goodman Theatre); Kill Floor (American Theater Company); Little Shop of Horrors, Sideman (American Blues Theater); I am Going to Change the World (Chicago Dramatists); and The Casuals (Jackalope Theatre Company). He pursued his MFA in directing from Northwestern University. He has taught at University of Michigan, Northwestern University, University of Chicago, Columbia College and The School at Steppenwolf. 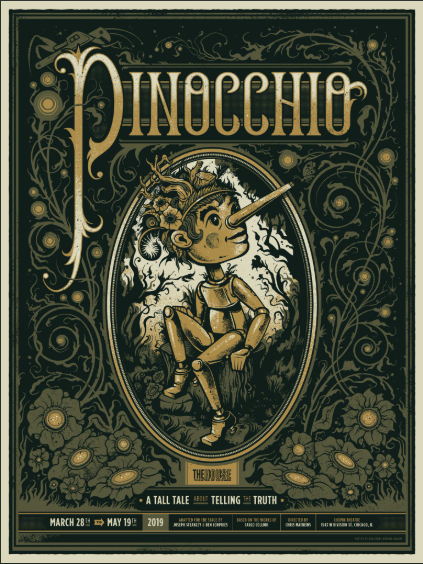 The Children production team includes Chelsea M. Warren (Scenic Design), Mara Blumenfeld (Costume Design), Lee Fiskness (Lighting Design), Andre Pluess (Sound Design), and Gigi Buffington (Company Voice and Text Coach). Additional credits include Laura Glenn (Stage Manager), Elise Hausken (Assistant Stage Manager), JC Clementz (Casting Director) and Greta Honold (Artistic Producer). Preview ticket prices (April 18 – 28) range from $20 – $84; and the regular run (April 28 – June 9) are $20– $99. Prices subject to change. Student Discounts: $15 student tickets are available online. (Limit 2 tickets. Must present a valid student ID for each ticket). For additional student discounts, visit steppenwolf.org/students. Classic Memberships for the 2019/20 season offering guaranteed seats, great value and early access are now available. Packages start at $100. Black Card Memberships are available for audiences interested in extreme flexibility and peace of mind with six tickets for use any time, are valid for one year with the option to add additional tickets as needed. Perks include free exchanges, access to seats before the general public, savings on single ticket prices and bar and restaurant discounts. RED Memberships are available for theatergoers under 30. Memberships options at steppenwolf.org/memberships. Audience Services: For tickets or more information, contact Audience Services (1650 N Halsted St) at 312-335-1650 or steppenwolf.org. Curtain Times: Tuesday – Friday at 7:30pm, Saturdays and Sundays at 3pm and 7:30pm; Wednesdays at 2pm. American Sign Language Interpretation: Sunday, May 12 at 7:30pm. Open Captioning: Thursday, May 9 at 7:30pm and Saturday, June 4 at 3pm. Steppenwolf Theatre Company is the nation’s premier ensemble theater. Formed by a collective of actors in 1976, the ensemble represents a remarkable cross-section of actors, directors and playwrights. Thrilling and powerful productions from Balm in Gilead to August: Osage County and Pass Over—and accolades that include the National Medal of Arts and 12 Tony Awards—have made the theater legendary. Steppenwolf produces hundreds of performances and events annually in its three spaces: the 515-seat Downstairs Theatre, the 299-seat Upstairs Theatre and the 80-seat 1700 Theatre. Artistic programing includes a seven-play season; a two-play Steppenwolf for Young Adults season; Visiting Company engagements; and LookOut, a multi-genre performances series. Education initiatives include the nationally recognized work of Steppenwolf for Young Adults, which engages 15,000 participants annually from Chicago’s diverse communities; the esteemed School at Steppenwolf; and Professional Leadership Programs for arts administration training. While firmly grounded in the Chicago community, nearly 40 original Steppenwolf productions have enjoyed success both nationally and internationally, including Broadway, Off-Broadway, London, Sydney, Galway and Dublin. Anna D. Shapiro is the Artistic Director and David Schmitz is the Executive Director. Eric Lefkofsky is Chair of Steppenwolf’s Board of Trustees. Steppenwolf’s Board of Trustees.